Every day, people are injured or killed in vehicle accidents on the freeways, highways and roads in Olivehurst and throughout Northern California. These accidents can take a significant physical, emotional and financial toll on the victims and their loved ones. Our law firm represents clients in a wide variety of personal injury cases involving automobile accidents and collisions. Following an accident, it is important to immediately consult with an experienced lawyer to ensure that your rights are protected. Crucial evidence could be lost and witnesses' memories fade if we do not complete a prompt and thorough investigation. If you have been in an auto accident in Olivehurst, CA or on Highway 70 or any other major thoroughfare in Northern California, Moseley Collins is here to help you get the compensation you need. Our firm was founded over 30 years ago by Moseley Collins and we have the knowledge and resources to go up against the insurance companies and get you a fair settlement. 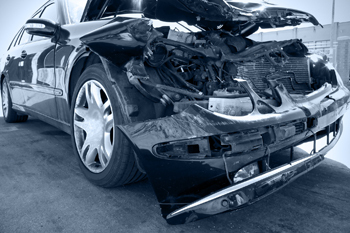 Have You or a Loved One Been Injured in an Auto Accident in Olivehurst, CA? Call (800) 426-5546 to speak with a car accident attorney now. Yuba County sheriff's deputies were searching for a robbery suspect early Sunday who led them on short vehicle chase that ended in a three-car crash on Highway 70 in Olivehurst. The incident happened at about 11:45 p.m. Saturday when a patrolling deputy spotted a man carrying a large item sprint out of a convenience store at Seventh and Olivehurst avenues and jump into a running vehicle in the parking lot, said Sgt. Josh Jellsey. The deputy "immediately got behind the car," and it sped off, Jellsey said. The female driver of the getaway vehicle tried to take the southbound Highway 70 exit, "was going too fast, lost control, came over the embankment in the middle of the southbound 70 lanes, just south of the Olivehurst Avenue overpass," Jellsey said.